At Arfaa Law Group, we provide diligent, compassionate representation to Maryland residents who have been harmed by the negligence of a health care provider or are suffering a devastating injury. 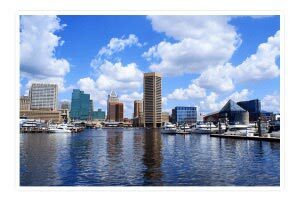 Based in Baltimore, our knowledgeable medical malpractice lawyers are committed to making the process of seeking compensation as seamless as possible for you. We understand the physical and emotional turmoil that you are enduring as you or a loved one copes with serious injuries, and we will fight for your rights with the tenacity that you deserve. The patient suffered an injury or damages as a direct result of the physician’s breach. Some of the most tragic incidents of medical malpractice involve newborns and their mothers. According to the Centers for Disease Control and Prevention, approximately seven out of every 100 births involve some kind of birth defect or trauma. If you believe your child has suffered a birth injury due to medical malpractice, you may be able to file a claim against the negligent medical provider. Malpractice often occurs during the labor and delivery process, potentially resulting in devastating birth injuries and long-term consequences for a child. Some of the most serious birth injuries result from a lack of oxygen to the fetus during delivery, or bleeding within the skull or brain. As a result, a baby may suffer serious, life-changing conditions like cerebral palsy, Erb’s palsy, intellectual disabilities, developmental delays, or other debilitating conditions. A victim of medical malpractice or the family of a child who has suffered a birth injury may be entitled to compensation. A plaintiff may seek damages for medical expenses, the costs of future treatment, lost income and earning capacity, pain and suffering, lost enjoyment of life, disability, disfigurement, and more. Our team of Baltimore medical malpractice attorneys have years of experience assisting victims in catastrophic injury and wrongful death cases. We understand how catastrophic injuries can affect every aspect of a person’s day-to-day life and interfere with one’s ability to work, which is why we have helped many medical malpractice victims in Baltimore and the surrounding area pursue the compensation they deserve. All too often, preventable accidents may lead to spinal cord injuries, brain trauma, partial or total paralysis, amputations, or even death. If you have lost a loved one due to the carelessness or negligence of another, you may be able to file a wrongful death claim against the responsible person or entity. According to Maryland’s Wrongful Death Statute, a decedent’s surviving family members can file such a claim. These family members include a surviving spouse, child, or parent of a victim. In certain cases, a secondary beneficiary may be able to pursue damages if there are no immediate beneficiaries alive at the time of the death. Wrongful death claims are generally rooted in the legal theory of negligence. The surviving family members may be able to seek certain types of damages on behalf of their deceased loved one. These damages include loss of income, companionship and support, funeral and burial costs, and more. Due to the complexity of these types of cases, it is important to consult a law firm that is experienced in medical malpractice. Residents of Baltimore and the surrounding area can consult the medical malpractice attorneys at Arfaa Law Group for vigorous, efficient, and compassionate representation. Our team is committed to serving the most seriously injured. Our personal injury attorneys proudly represent and provide guidance to victims and their families throughout the state of Maryland. To discuss your legal rights and options, call 410-889-1850 or contact us online. $21 MILLION Jury verdict awarded to a minor for her cerebral palsy/brain injury caused by her obstetrician's failure to timely deliver her by c-section. $18.54 MILLION Jury verdict awarded to a 30 year old man who was not properly resuscitated during a code for a massive pulmonary embolus. $15.65 MILLION Jury verdict awarded to a minor for her cerebral palsy/brain injury received as a result of a lack of oxygen during the labor process. $15 MILLION Settlement for a 36 year old physician whose bacterial infection was not timely treated, leaving him with multiple amputations, multi-organ failure and multiple subsequent surgeries. $7 MILLION Settlement for permanent brain damage caused by the failure to treat excessive vomiting. $5.36 MILLION Jury verdict awarded to the surviving spouse and two adult children of a patient whose primary care physician failed to properly screen him for colon cancer leading to his death.